To share your Sasquatch stories with us, please use the ‘Submit Story‘ button. Rocks being thrown at or toward people is also one of the characteristics given to the Hairy Man. An elder in St. Mary’s shared a story that one or more times that she and her husband had rocks thrown at them from brush along the river bank while riding up the Andreafsky River by boat. The rocks were too large for humans to thrown that high and far. Seeing this, the son’s father would go up the hill a ways and holler toward the rock thrower (not seeing it though) and scolded it, telling it not to throw any more rocks. After that, no more rocks would be thrown. Hairy Man creatures appear to be a natural part of earth’s biology. Only a natural being could pick up and hurl rocks that big. 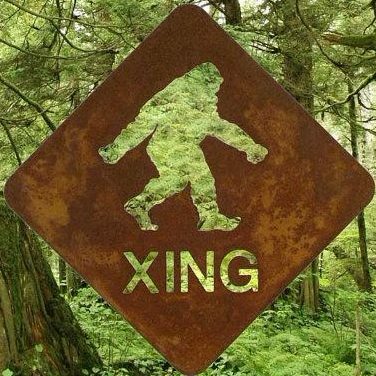 To read more stories about Hairy man and Bigfoot in the Y-K Delta, go to The Delta Discovery’s website at http://www.deltadiscovery.com and scroll down to the “HAIRY MAN” story section. Click on “HAIRY MAN” in the bar above the current story to access the webpage with all the stories we have written in the series. Do you have a Hairy Man or Bigfoot story to share? If so, send your story and pictures (if any) to hairyman@deltadiscovery.com, or fax at (907) 543-4116. Or call us at (907) 543-4113.